Camels are mammals with long legs, a big-lipped snout and a humped back. 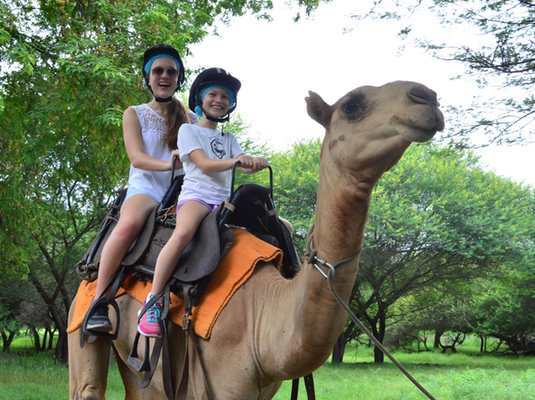 There are two types of camels: dromedary camels, which have one hump, and Bactrian camels, which have two humps. 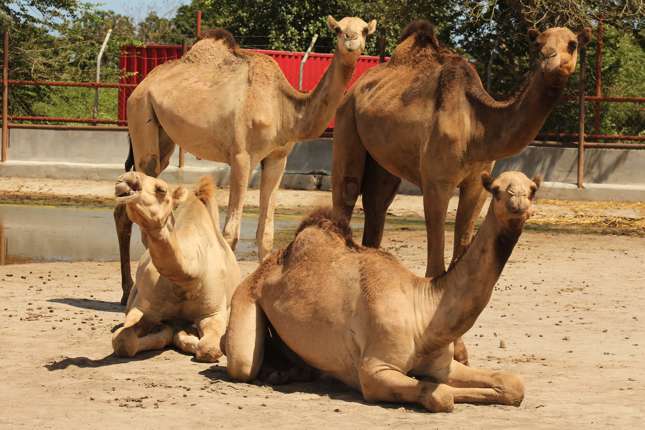 Camel humps consist of stored fat, which they can metabolise when food and water is scarce. Dromedary camels get up to about 6.5 feet (2 m) tall at the shoulder and weigh 880 to 1,325 lbs. (400 to 600 kg). Camels aren't picky about what they eat. Their thick lips allow them to eat things that most other animals couldn't, such as thorny plants. Filling up on water, when it's available, is very important for camels. They can drink 30 gallons (113 litres) of water in just 13 minutes. Their bodies rehydrate faster than any other mammal. Camels like to stay together in groups called caravans. The caravans are led by a dominant male, while many of the other males form their own caravans called a bachelor caravan. 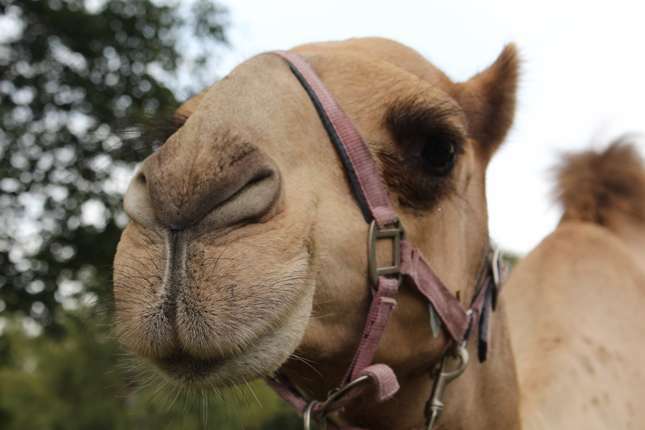 Camels are very social and like to greet each other by blowing in each other's faces. Wow! What an amazing experience we had at you park. Thank you so much for a great day and time.